Why not use this bank holiday weekend as a chance to go beachcombing. There's a lot of interesting objects you can find washed up along the shore- especially after all the stormy weather we've been having! We collected a bag of beach items and thought we'd play around with them. The result was this sea scene, which we will guide you through below. 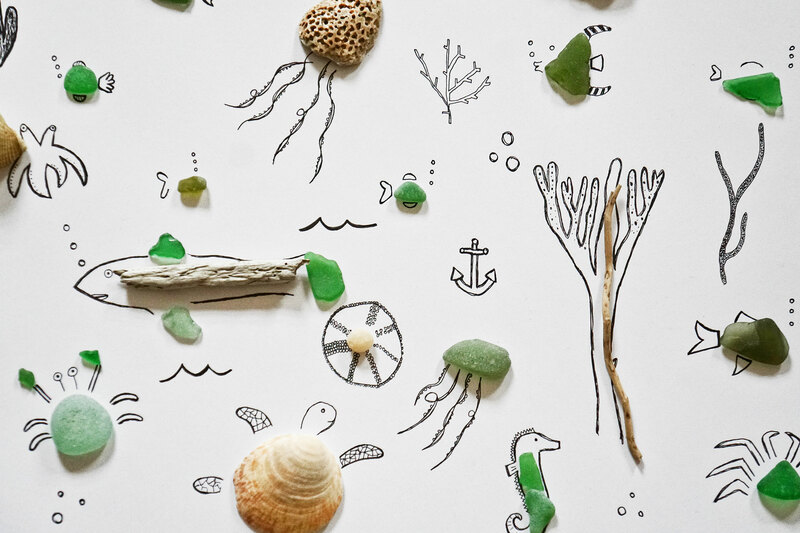 Show us your beach creations and found items by tagging us on social media. Begin by taking a look at the objects you've found. Spread them out on a table and examine their shapes. Does anything look like the shape of something else? 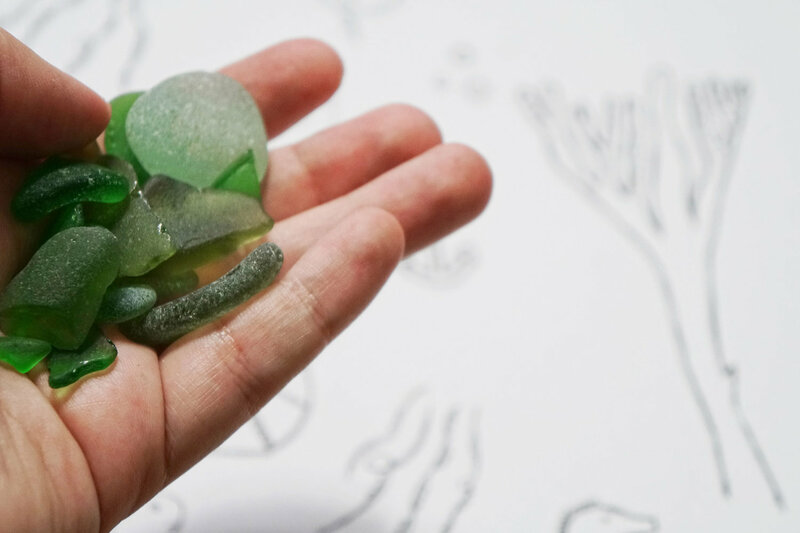 A misshapen shell could form the sail of a boat or a piece of sea glass could be a fish. 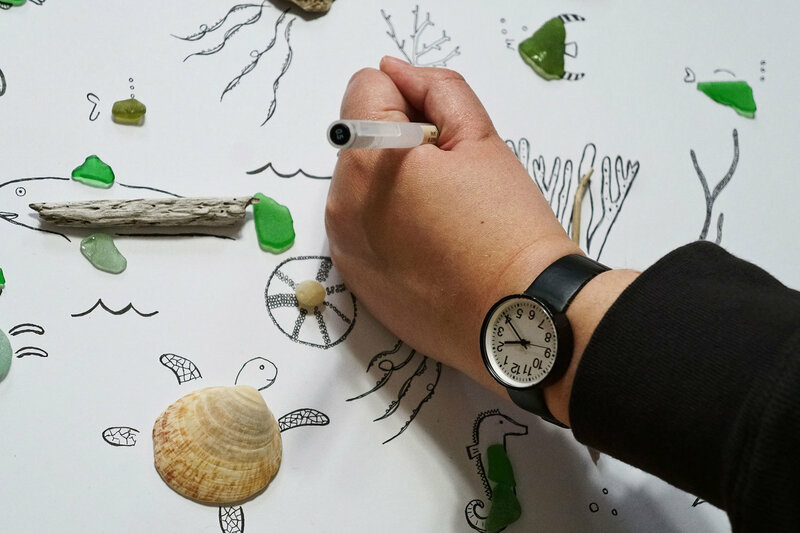 Next arrange the objects on your paper and start thinking about the composition of your picture. When you're happy with how everything looks you can start filling in the blanks and drawing in detail. 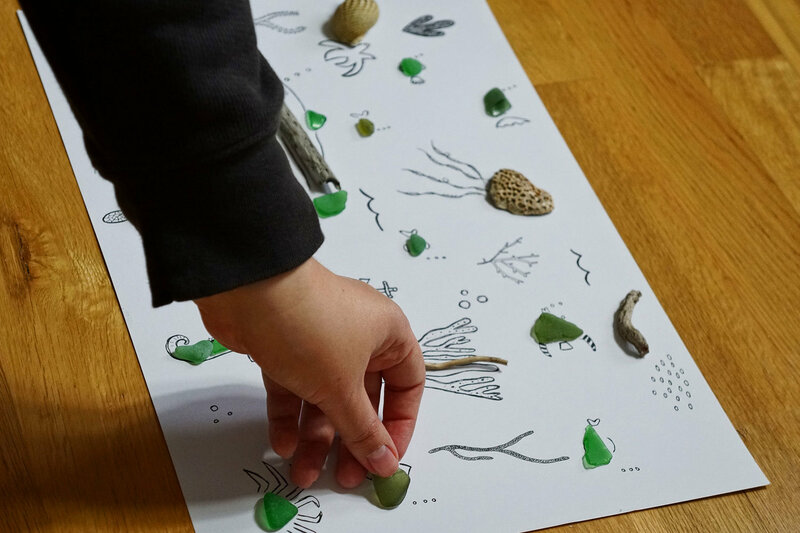 Add some tentacles to your squids, seaweed to the ocean floor and air bubbles here and there. When you have a scene you're happy with take a picture, and share with friends. Of course you dont have to create a sea scene, you can make anything out of your beach combed objects, the only limit is your imagination!